“In Dutch we have the word “gezellig”. It can’t be translated into English directly, but basically it means a comfortable, friendly, peaceful atmosphere in a room and/or with a group of people. This is what we have here”, said Conrad, gesturing around the room. My Dutch speaking friend and I were just sitting down for an hour of Lectio Divina, which is a contemplative method of reading and praying Scripture. The lighting was dim. The couches comfy. There was a tangible hush in the air – the accumulation of four days of 24/7 prayer had created quite a sanctified atmosphere in our prayer room. 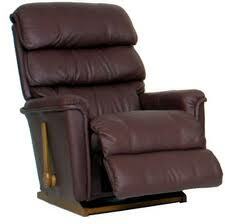 It was comfortable, peaceful and friendly. We have been collaborating with the True City movement for about four years now www.truecity.ca – exploring ways that churches can pray together for the good of the city. 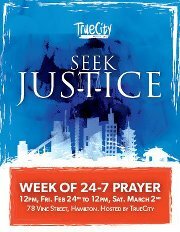 Last weekend True City had it’s annual gathering, which focused on the theme “Seek Justice”. 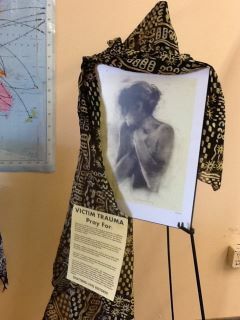 There were breakout sessions on Justice Through Prayer, Justice for the Sexually Exploited, Justice and Mental Health Realities, and Poverty, Consumerism and Justice, amongst others. And for each breakout session had a corresponding prayer station in our prayer room, which we are now running 24/7 for a week after the conference. One of my favorite things about prayer rooms is that they provide a place where different prayer streams can collide, and where people can explore different prayer languages. Charismatic extroverts can sing their prayers. So can Benedictine lay monks! 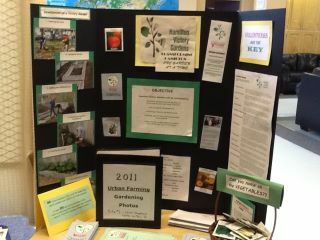 Folks who like prayer lists and information stations can use them. Artists can draw their prayers on the canvas that covers part of the floor. Mystics can meditate. And we can all do it together.